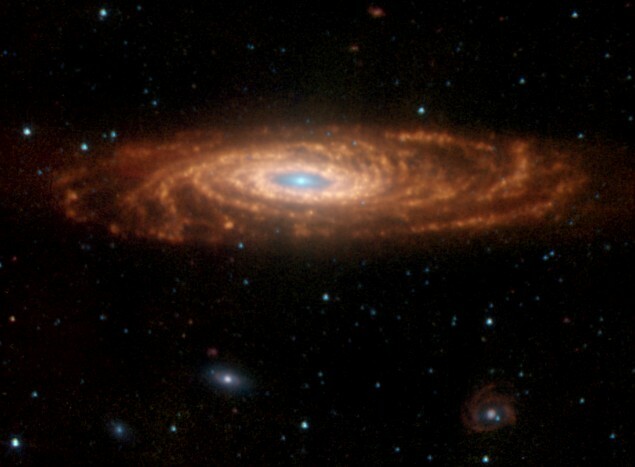 Explanation: If our own Milky Way galaxy were 50 million light-years away with its disk inclined slightly to our line of sight, it would look a lot like large spiral galaxy NGC 7331. In fact, seen here in a false-color infrared image from the Spitzer Space Telescope, NGC 7331 is interesting in part because it is thought to be so similar to the Milky Way. Light from older, cooler stars, shown in blue, dominates the central bulge of NGC 7331, while Spitzer data also indicates the presence of a black hole within this galaxy's central regions - about the same size as the black hole at our own galactic core. 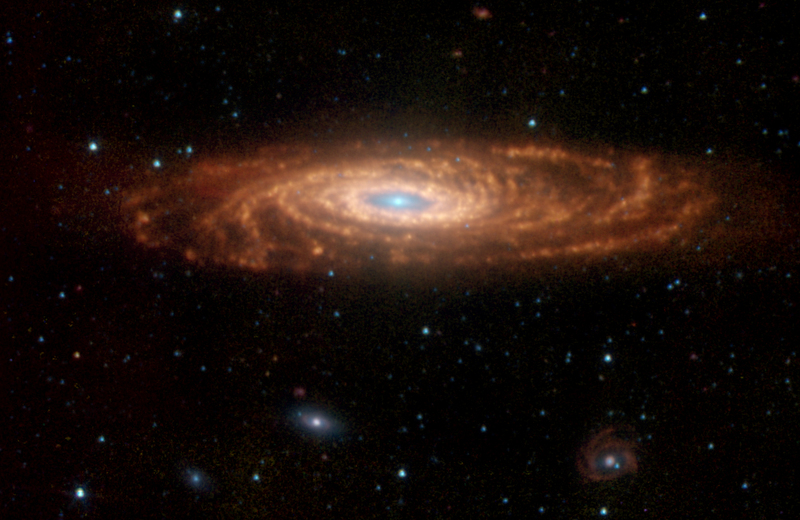 Shown in red and brown, radiation from complex molecules associated with dust traces NGC 7331's star forming spiral arms. The arms span around 100,000 light-years, about the size of the Milky Way. Curiously, a further star forming ring is visible in yellowish hues, 20,000 light-years or so from the center of NGC 7331, but it is not known if such a structure exists within our own galaxy.